Raabta this is a new Official HD Video Trailer From Upcoming Bollywood Movie. 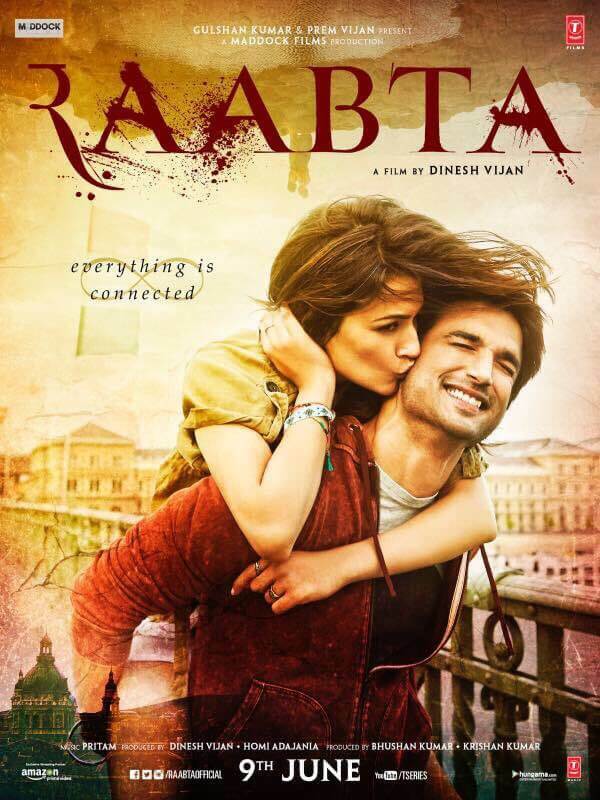 This is a romantic, thriller and drama Bollywood Movie Raabta. This movie is starring Sushant Singh Rajput and Kriti Sanon in the lead role in this movie with Music Compose by Pritam. Raabta movie is directed by Dinesh Vijan and produced by Homi Adajania and Bhushan Kumar . Raabta movie is scheduled to release on 9 June 2017. This movie trailer showcases the love triangle between the three primary characters in the two different eras and also this is a love story of Sushant and Kriti both the actors look completely different characters in this movie Raabta.